Why Don’t You Have A Corporate Sponsor For That? Are you currently self funding your programs, podcasts, and events or perhaps are they not a part of your business at all because you lack the cash flow to pull it off? Do people follow you online and offline because of your expertise and influence? Then why not partner with corporations through sponsorship in order to completely shift things in your business? You see, corporate sponsors can REALLY move the needle in your business. For starters they have big budgets that can equal big revenue for you. In fact they spend $22 BILLION every year with business owners and influencers. Also, leveraging your brand with their brand can improve your overall impact and influence in the marketplace. Now before you count yourself out and start naming all of the reasons why you’re not ready, or why they would not want to partner with you, let me stop you. The reality is they actually NEED you! Corporations are always looking for ways to drive brand awareness and gain customers, especially in the commercial avoiding, billboard ignoring world we live in today. Since traditional advertising and marketing is no longer as effective, they need more cutting-edge ways to continue to gain customers so they can be profitable. That’s where you come in by providing them access to your target market that can become their future customers. And it goes beyond the obvious event sponsorship so no need to worry if you are not currently hosting live events. As long as you have several other ways to serve your target market, especially online, then you’re likely headed in the right direction to becoming a great partner to a corporate sponsor. So that means money for what you’ve ALREADY created, with almost ZERO additional work. Your job is to demonstrate that you have adequate influence in the marketplace and can offer avenues to reach their target market beyond their current internal efforts. Track your marketing to demonstrate conversion. For example, how many of your Facebook ads convert followers into a paying client or customer? Track engagement with your social media followers and people in your database. How many people share your posts, open your newsletters and participate in your contests? Garner media coverage on radio, television and print for third party validation. Have products and programs to serve your target market, both online and offline. Now, your next step is to begin to identify companies that would be a great fit and begin to build relationships with decision makers within that company. To create your target list make a list of 5 products and services your target market buys. Under each of those products and services research 5 corporations that sell those products and services. These companies will be your best potential sponsors because you share the same audience. It will also be much easier to get your foot in the door to discuss your sponsorship opportunity because they will likely have goals and objectives to reach more of the audience you serve. Now you’re ready to begin networking at local events and begin searching LinkedIn for the advertising and marketing executives who work at the companies on your target list so you can share what you do in the world and how partnering with you will give them more visibility to potential consumers who can purchase their stuff. In order to get a meeting with them, simply let them know you serve the target market their looking to reach in some pretty unique ways both online and offline and it may make sense for you to get together to discuss how you may help one another. Notice I didn’t say “become my sponsor,” or anything close? If you go that route, you will not get your foot in the door. You will get your toes smashed! Once in the door, your job is to find out more about what they’re looking to accomplish and how partnering with you can fill in the gap for reaching those goals and objectives. The next thing you know, you’re on the way to the bank with your first sponsorship check in hand. Shayna Rattler is the ultimate matchmaker for top brands and influencers. She has spent over a decade working with corporations, entrepreneurs and influencers to create perfect alignment between brands and influencers for increased visibility and profit. 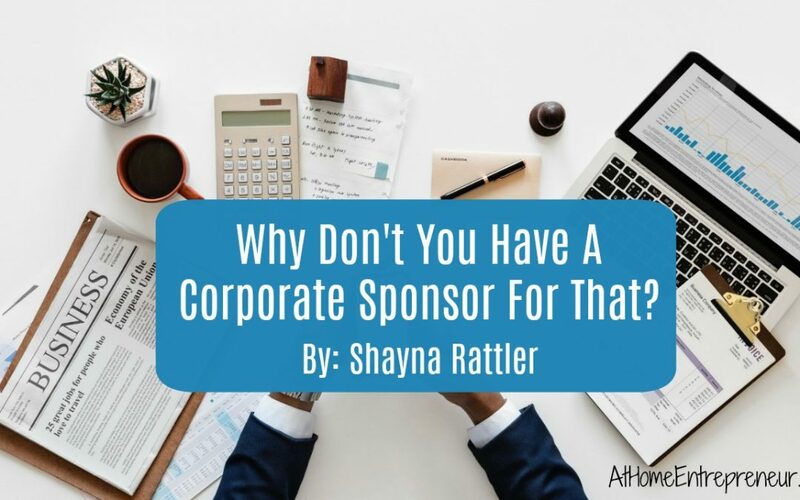 Shayna is an expert in understanding what makes you incredibly attractive to corporate sponsors. 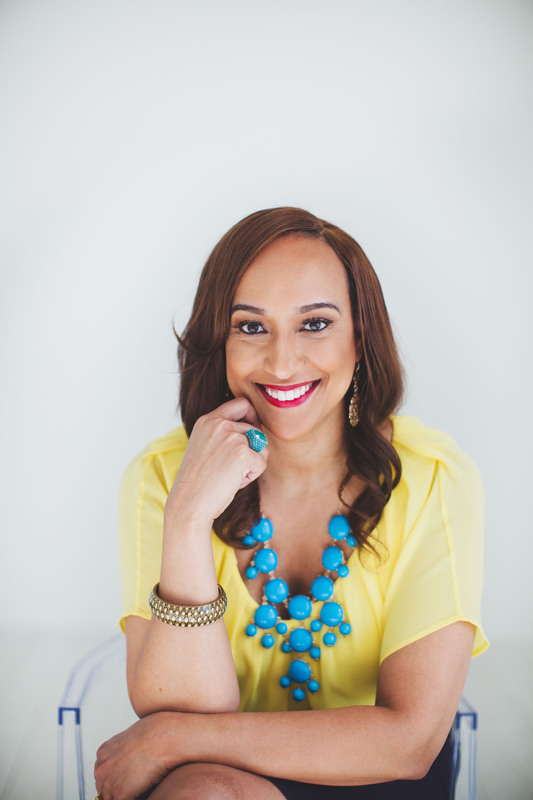 Her clients have included international best-seller Lisa Nichols, media star Steve Harvey, Susan G. Komen Foundation, and big brand corporations like UPS, Delta Airlines, State Farm, and Mary Kay. If you are looking to be featured as a guest blogger on www.AtHomeEntrepreneur.com shoot us an email at TheAtHomeEntrepreneur@gmail.com and let’s chat about what you’d like to share!